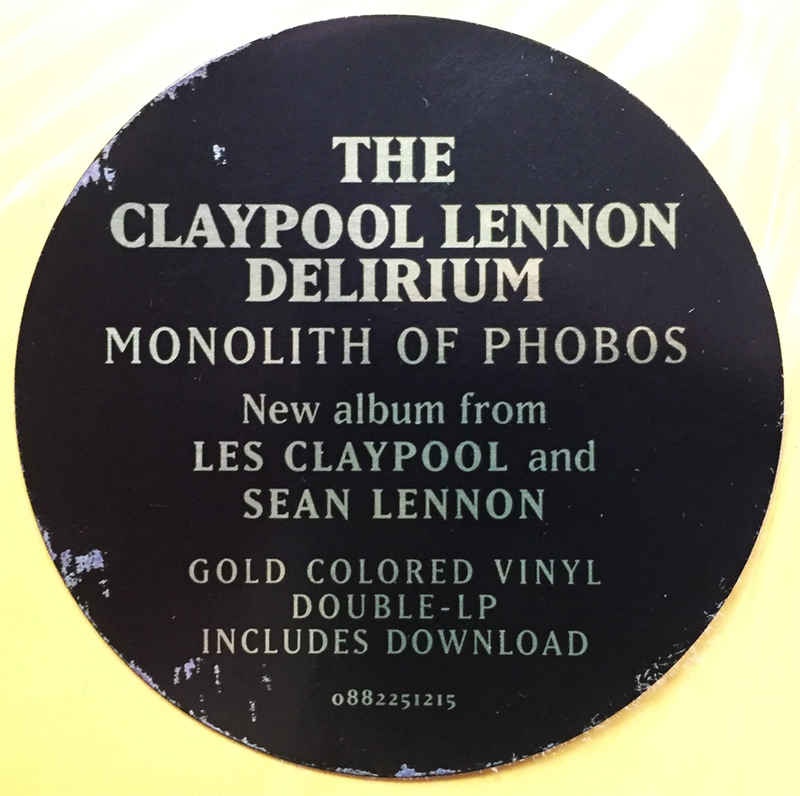 I’ve been waiting for 8 months to showcase an amazing analysis of Monolith of Phobos, the spectacular debut release from The Claypool Lennon Delirium (Les Claypool and Sean Lennon… no joke), and this post is (clearly) not said analysis. I’ll have to circle back when 1) I have more time and 2) well, there is no 2). If you haven’t already, and I’m sure you have, CHECK. OUT. THE. CLAYPOOL. LENNON. DELIRIUM. I can’t wait for the sun to go down, and then re-emerge tomorrow morning. 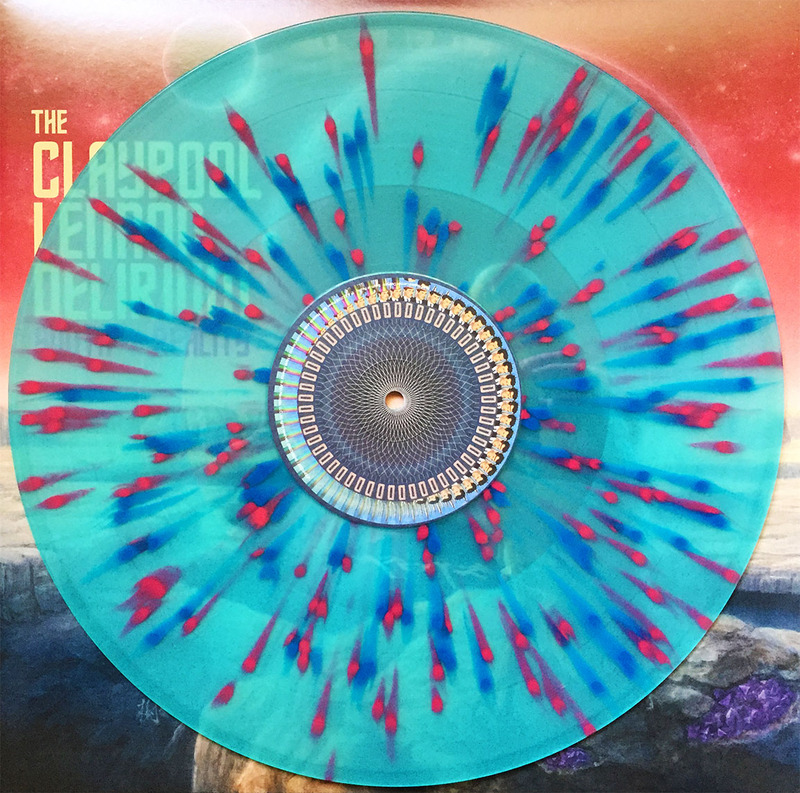 For when that celestial journey yet again occurs, I’ll have the allotted time to dive into The Claypool Lennon Delirium. 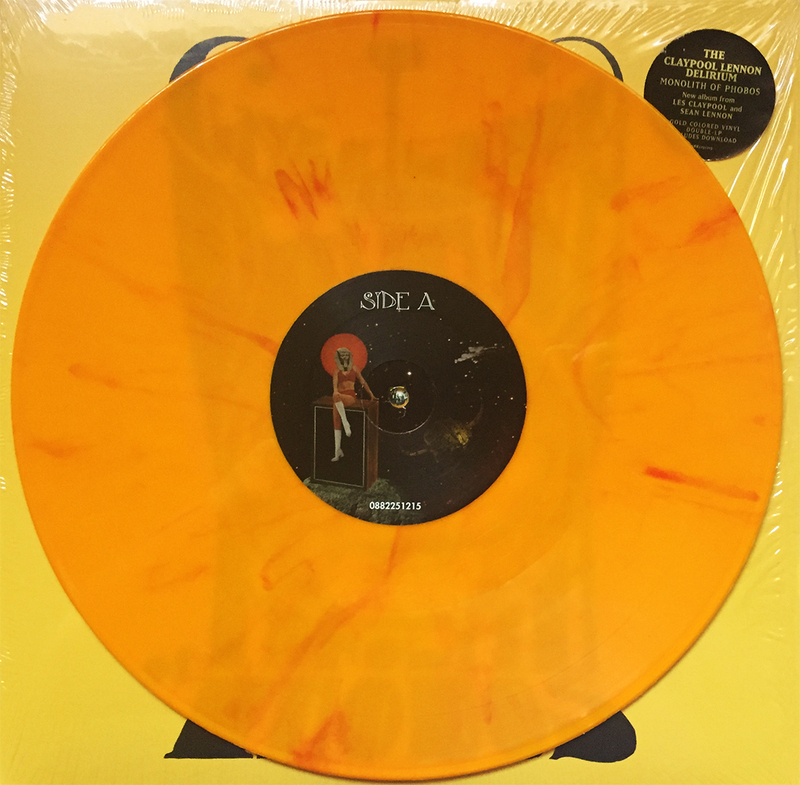 This double LP, featuring Primus’ Les Claypool and John’s Sean Lennon, seems like just the whimsical duo for an overcast (forecasted) Sunday morning. Drink responsibly tonight, kids, and check out Monolith of Phobos. Ernest Hemingway once stated, “Write drunk; edit sober.” Now, I’m not comparing myself to Ernest Hemingway (more like Ernest Borgnine), but I’ve adapted that approach to today’s post. Albeit, a program featured on the channel of my past, Primus, like so many other influential bands, if only at the time, have created some of the most memorable melodies I can’t, but would love to, ignore. It’s difficult (as this is my first post) to comment on music that I’ve known for so long, or at least have held so close for a number of years. I’m not a Bruce Willis fan of Primus (Diehard for those catching up), but I am willing to lose myself amongst the rhythms that only partially remind me of my post High School years. I relish in the delights of disturbing my neighbors whilst listening to this album. Common decency be DAMNED! I imagine those who differ from the manifesto that IS Primus to completely miss the proverbial point. Pop? Yes. Aggression? Perhaps. Alternative… when it meant something? Yes. Everyday listening? No, but for good reason. I had a boss at a pizza joint in Madison, WI… He was my father’s age, but who LOVED his Dodge Intrepid, Western novels, and among other things, Primus. For those of you who disregard the band, who write them off as MTV slack-jawed-tobacco-chewing-yokels, you may be right. But for those who tote themselves as connoisseurs of music as a whole, I invite you to downgrade this band. The forum is open to you and your ignorance. Primus, aka Les Claypool w/ friends, and Pork Soda enter a room, set a fire, have a seat, then attempt to discuss foreign policies while the rest of the room frantically scrambles for an exit in fear of their lives. A good friend made fun of me for posting this album on my wall (an actual wall, before the social digital walls we know and loathe) amongst 40+ other albums, commenting on how he felt it didn’t fit amongst the pool of those albums that he deemed much more socially acceptable and remotely respected. I’ll never forget that, and continue to wear this album on the wall of my youthful pride (said wall NSFW). So, it’s raining here in Los Angeles. Thought I’d throw that out there. Salty ham carbonated beverage in my ears complement the sweet whisky tickling my tongue. Perhaps THIS is my personal Pork Soda; comfort musical pillows filling my ears accompanied by mental lubrication solemnly cascading down my throat. I can’t remember the last time I shaved my face clean. Yesterday I did just that. Today, with 24 hours worth of stubble, I frantically, almost erotically, handle my beardless mug in almost sexual tension while I listen… to Pork Soda. There is a God and his name may be Leslie Edward Claypool. 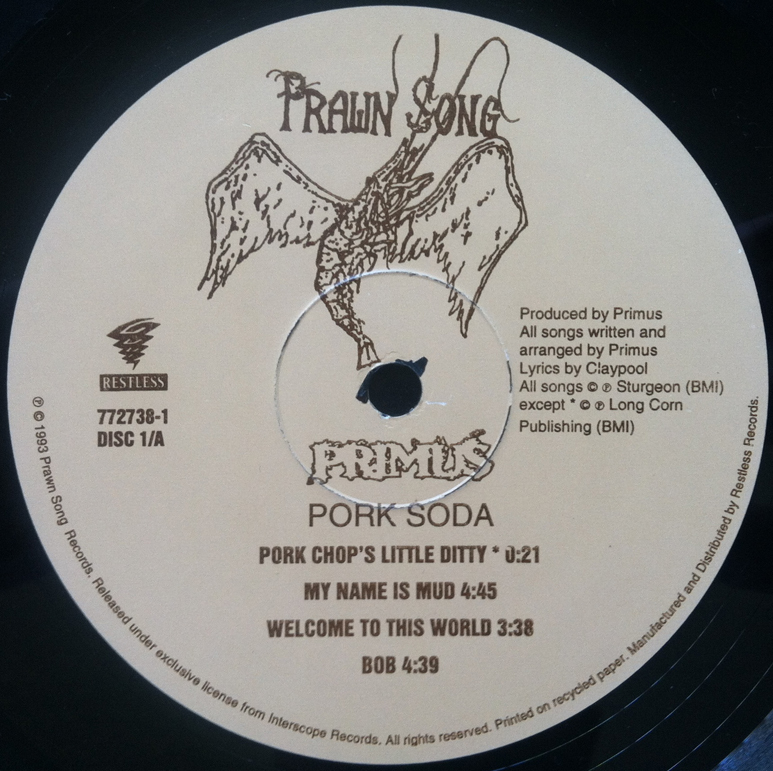 Arriving in 1993, Pork Soda exists as Primus’ third studio album (sandwiched between 1991’s Sailing the Seas of Cheese and 1995’s Tales from the Punchbowl). The last leg of this grandiose album winds down with a funk-ified instrumental that sounds a lot like a whale having his way with a sea otter. (Take a moment to visualize.) If you’re into whales, or just a lover of animals, Primus, Pork Soda, and Side D may be just what the veterinarian ordered. 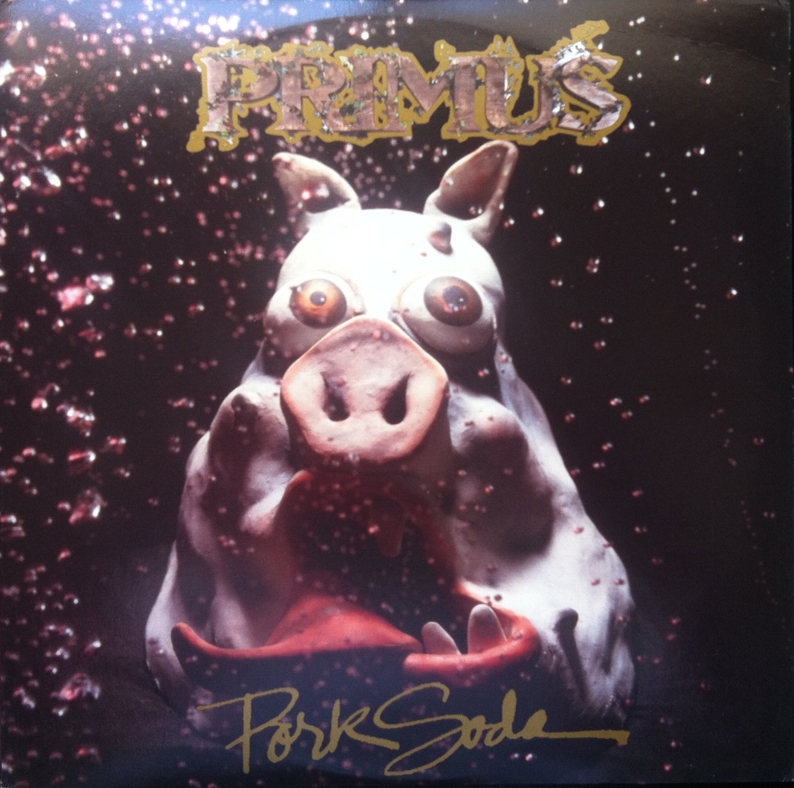 Primus is not for everyone, but if you’re in the mood for a risky, meandering musical scene filled with carbonated pigs, this album comes HIGHLY recommended.